Installing and running MATLAB Apps - The fluorescence laboratory. 1. Download the program and unzip it to a local directory. 2. 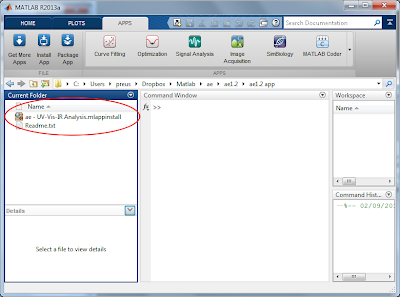 Locate the app installation file which is characterized by the suffix '.mlappinstall'. 3. 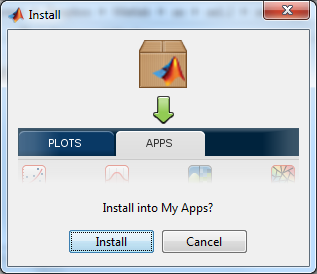 Double-click the installation file. 4. A dialog is opened. Click Install. 5. 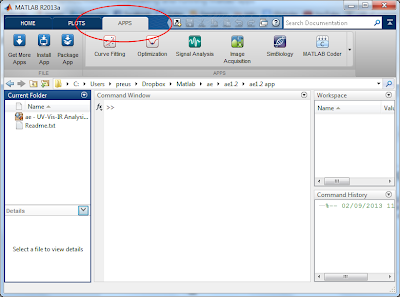 Once installed, the app is added to the MATLAB Toolstrip. 6. Move the installed app to your favourites. 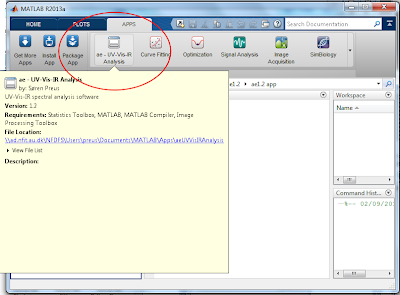 First expand the toolstrip to include all installed apps. 7. 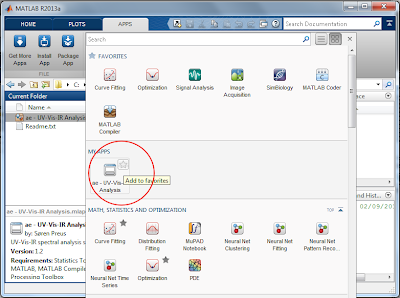 Locate the installed app and select 'Add to favorites'. 8. 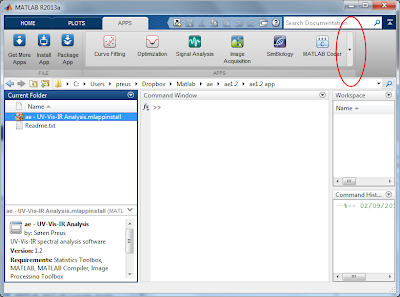 You may need to move the app icon so that it is displayed in the MATLAB toolstrip. Click the icon to run the program.